President Donald Trump unveiled his proposed budget this week, including plans for a ramped up effort to return to the moon and good news for the Kennedy Space Center (KSC) in Florida. NASA Administrator Jim Bridenstine traveled to the Sunshine State this week to outline the Trump administration’s proposed budget for the agency for the upcoming fiscal year and the reaction has been mostly positive. Trump is proposing more than $21 billion for the space agency this year. While that is about $550 million below what was expected, NASA will get $263 million more than last year. Bridenstine made it clear KSC and other NASA mission centers are critical to the future of the agency and consolidation is not an option. KSC Director Bob Cabana said he is excited about the future. “As the nation’s premier multi-user spaceport, Kennedy Space Center is integral to NASA’s sustained missions to deep space exploration. The budget fully funds SLS and Orion, and Exploration Ground Systems to launch at the earliest technically available Exploration Mission-1 and Exploration Mission-2 launch dates. These deep space exploration systems account for about a third of Kennedy’s $1.4 billion budget. Kennedy’s budget also includes investments in technology; Low Earth Orbit and spaceflight operations; science; safety, security and mission services; and construction and environmental restoration programs and projects,” Cabana said. Bridenstine told a crowd gathered at KSC that NASA plans to resume manned space flight this year with a mission involving the Orion Capsule and the Space Launch System (SLS). However, he did not mention that funding will be cut for the SLS by 17 percent because of numerous problems and delays. Bridenstine called for NASA to use more commercial crafts in the future, saying the agency would be a major customer and did not want to be “the long pole in the tent,” a reference to the cavalcade of rules, regulations and delays the agency has historically faced. Trump’s budget request also included plans faster return to the moon than is currently scheduled. Bridenstine even said NASA could launch that effort this year if things go well. The new moon program includes a new command module called Gateway which Bridenstine said will be a permanent presence. “It is about having a sustainable human presence on and around the moon,” he insisted. 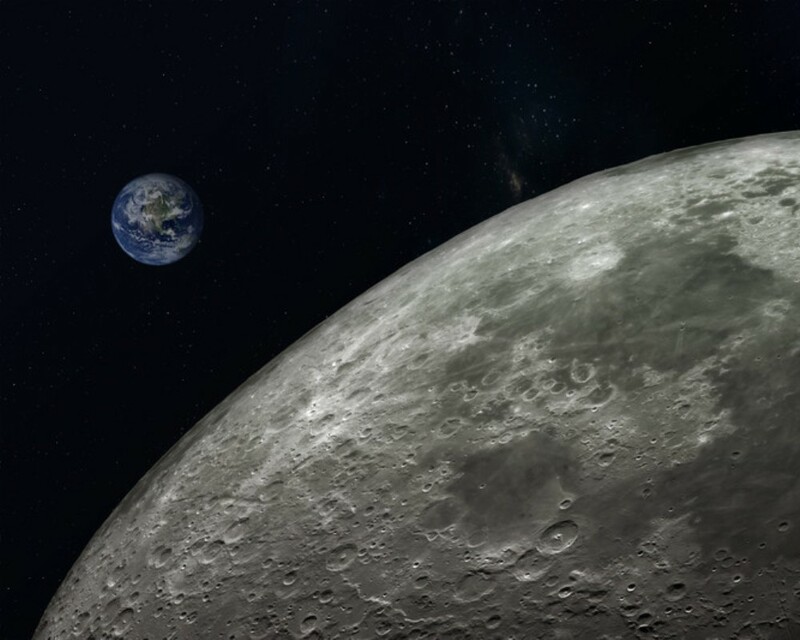 Gateway is not a space station but it will house astronauts as it orbits the moon. Bridentstine said there is much to explore on the moon including the massive amounts of ice that can be useful for water, air and propulsion. He also said NASA plans to examine the poles of the moon and study electro-magnetics on its far side. The proposed budget also includes money for human rated moon landers to facilitate travel between the moon and Gateway. The NASA administrator said there are 10 payloads ready to go to the moon and Gateway while sounding an optimistic note on changes in rockets. “We are talking about a rocket that is bigger than any rocket that has been built in human history with a payload capable of carrying volumes that we’ve never seen before, taller than the Statue of Liberty,” he said. NASA remains committed to using the moon as a launching point to Mars and finding which technologies will work there and which ones will not. While a manned flight to Mars remains a long way off, Trump’s budget proposal includes plans for developing the first helicopter to fly on that planet.